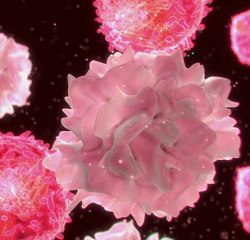 AN EXPANDED catalogue of primary and progenitor cell types and media with a new range of human endothelial progenitor cells (EPC) has been announced by Amsbio. These human EPCs are derived from bone marrow and have properties similar to embryonic angioblasts. Progenitor cells migrate into the blood stream and are able to differentiate into a variety of mature vascular endothelial cell types. Endothelial progenitor cells play an important role in both angiogenesis and vasculogenesis. Compared to specific mature types of endothelial cells such as HMVECs and HUVECs, human EPC are more suitable for cell-based screening of anti-cancer drugs. The cells also have an impact on ageing and smoking-related diseases, offering research and drug discovery opportunities in these areas. Amsbio offers various specific sub-types of human EPCs including vein, microvascular and aortic. The gene expression pattern is said to be more akin to that of endothelial cells from tumours, therefore offering the advantage of specifically migrating to human tumours. The cells are isolated from human samples using proprietary technology and are delivered at the 4th passage, either as cryopreserved or proliferating cells in culture flasks. Cells are supplied in 1ml cryovials or in 24-, 96-, or 384-well formats, ready for screening.